Yeah, definitely my top 3 as well. Still not sure how the guy yells/screams like that for years without his voice just giving out. I went with 3 buddies and after about the 3rd or 4th song the 4 of us just kind of looked at each other and said wow, this is awesome. Love going to concerts that exceed your expectations when they were already pretty high. Bruce Cockburn will be present at NMC to formally place his name plaque in the Music Hall of Fame, Sunday January 21st, 7:30 pm. Concert Jan 23rd at Jack Singer. Afghan Whigs touring with Built To Spill. Seattle is closest show to us. Maybe they are coming to Sled Island? Tour ends in May. Tim Hecker is playing the NMC on Friday night. Solidly in 'acquired taste' territory but he was probably the Sled Island act I was most disappointed in missing because of the 2013 flood and I don't believe he's performed here since so I'm really psyched for this one. MGMT May 9 date at the Big Four Building to support their new album Little Dark Age, which will be released Nov. 9. Tickets for this one are$47.75 plus service charges and arealso available Friday, Jan. 19 from Ticketmaster. Word of caution. I saw them at MacHall a few years ago and they were turrible. I heard they were too high to perform and left after like 40 minutes? Alvvays are playing the Palace March 31st. How do you get so pretentious after a couple years that you don't play Kids? Ugh. I'm amazed that band has had the staying power they've had for a band that's only put out one decent album in a decade's worth of work. Since I know we have a lot of fans and I'm sure some who'll be making the NW show roadies. With a little luck I will be at the Missoula show. Can't see me not getting drawn through the Ten Club presale, but we shall see. 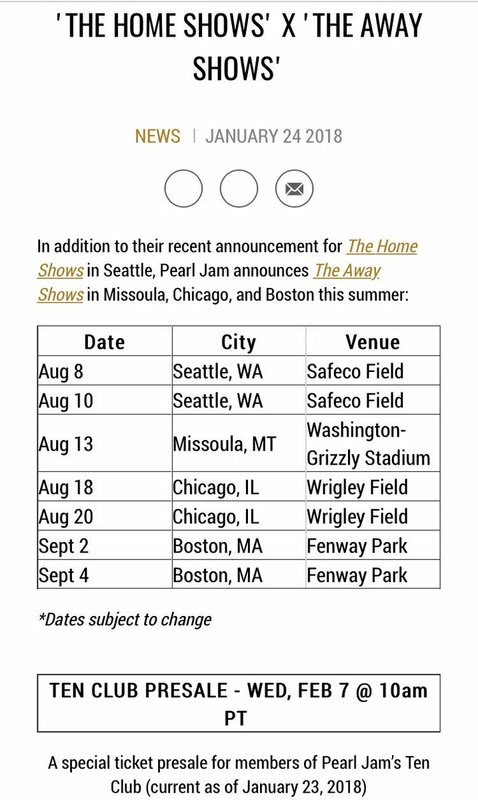 That would be my first Pearl Jam show. Stupid. Both Oxford Stomp and Round-up concerts have been squashed for this year I have been told. Anyone else going to Pennywise on March 16 at Mac Hall? Seen them a couple of times and they're always awesome. Wow, what's going on there? Those are two huge components of stampede. 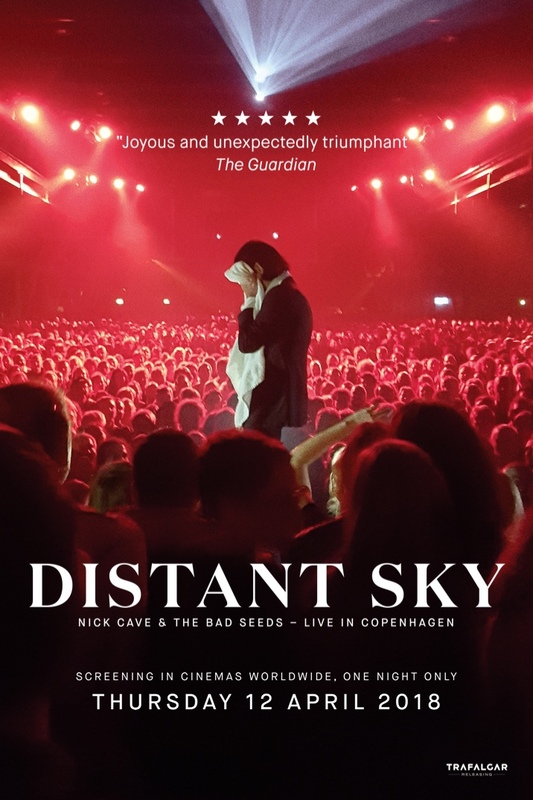 This isn't a concert but there will be a screening of Nick Cave's new concert film at the Eau Claire theatre on April 12th.